This is a very simple and easy update anybody can give their everyday lamp. 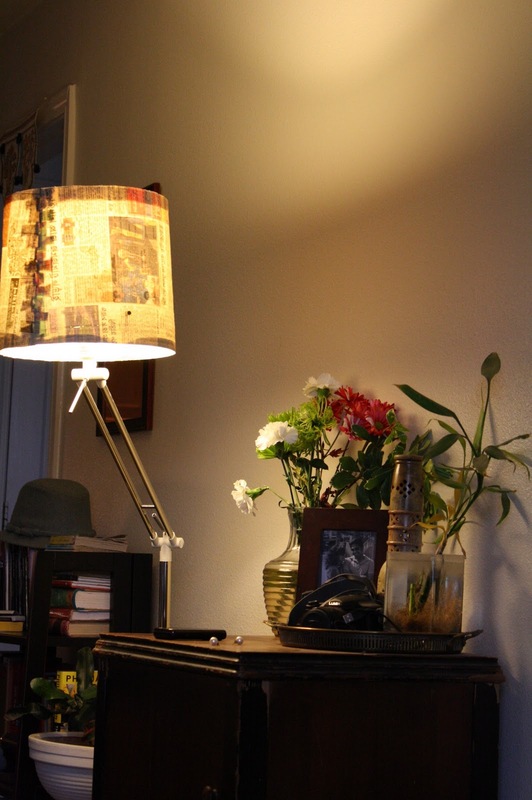 I bought this floor reading lamp from Ikea and wrapped it up with newspaper that I had lying around. It took about 20 mins in total! All I used was scotch tape to put it together. This can also be done with left over fabric - and thats going to be one of my future lamp projects!